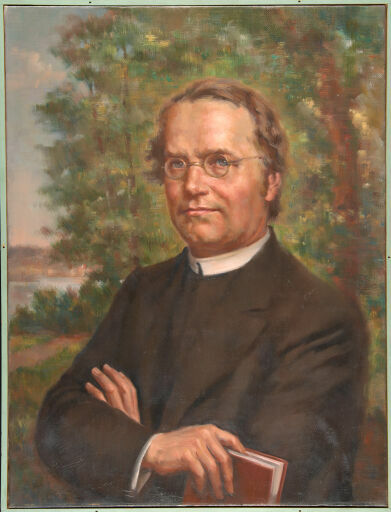 Digital Surrogates from the Iltis Mendelania Collection, contain digitized correspondence, photographs, manuscripts, handwritten certificates, research notes and sketches, concerning Gregor Mendel's and Hugo Iltis' research on genetics; Mendel's examinations in geology and physics; as well as locations related with Mendel's experimental gardens and his life as an Augustinian friar. An access copy to these materials is available upon request. The Iltis Mendelania Collection (Digital Surrogates), ca.1850-1938 are managed by the University of Illinois Archives and do not feature precise descriptive information for each item. Discover their contents by browsing the folders and files. For more information, contact an archivist at illiarch@illinois.edu.